What a convenient location! 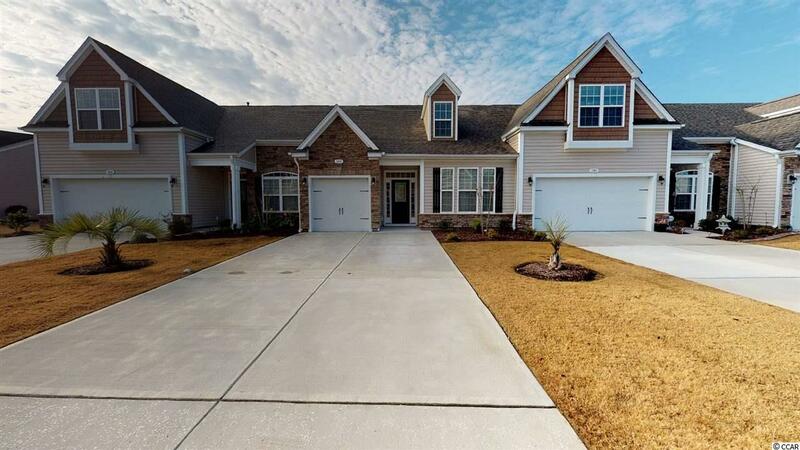 This spacious townhome with one car garage feels like a single family home but no yard work required! 4 bedrooms or 3 and an office provides great flexibilty in how you use this space. Owners suite and second BR on ground level with two full baths plus two bedrooms and a full bath up. The upstairs could be used as a second living quarters! Most versatile plan with storage and garage complete with shelving used primarily for additional storage. 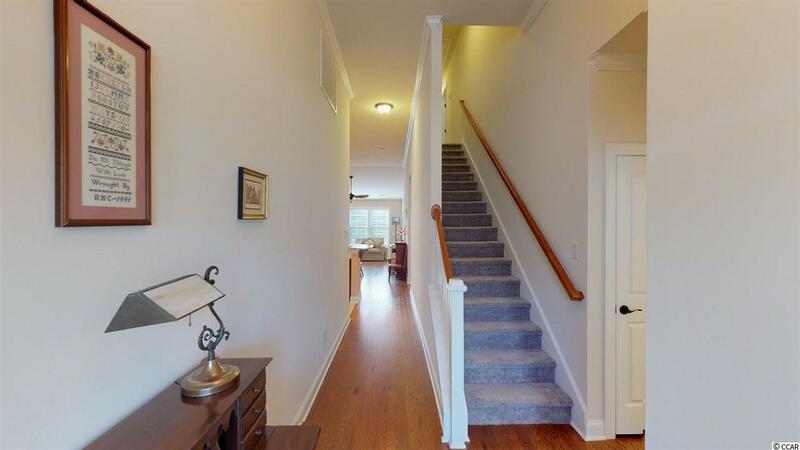 Enter the foyer with beautiful hardwood extending through all living areas and bedrooms on the main level. You will find a vaulted great room, open kitchen offering natural gas range, granite counters, stainless appliances,pantry and upgraded cabinetry. Meals may be enjoyed at the long breakfast bar, adjacent dining area or on the all seasons porch with large patio and grilling space. The owners suite opens to the all seasons porch for morning coffee and bird watching. This suite is designed with double walk-in closets and bath with double sinks and walk-in shower plus large linen closet. The owner chose upgraded oil rubbed bronze plumbing fixtures to add a rich finish. Ceiling fans also are upgraded. The private upstairs suites share a "jack and jill bath with tub/ shower arrangement. A walk-in storage closet is also located here. This community offers a clubhouse with room to exercise, plan potluck get togethers and special events then an inviting pool with chairs and tables where residents can meet and socialize. 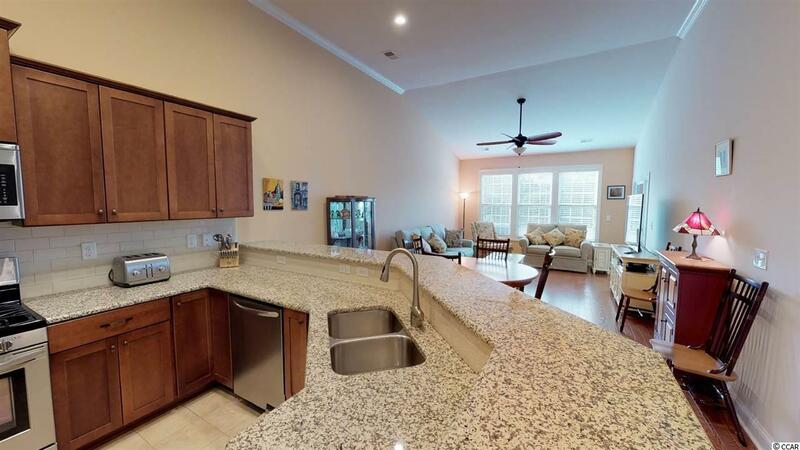 Minutes from two main grocery stores, pharmacy, medical facilities, championship golf courses and the Murrells Inlet marshwalk and restaurants. About a 15 minute drive to Brookgreen Botanical Gardens and Huntington Beach State Park where undeveloped beach access, walking trails, wildlife , arts and music are enjoyed by residents year round. Enjoy the slow pace and beautiful surroundings we call home. 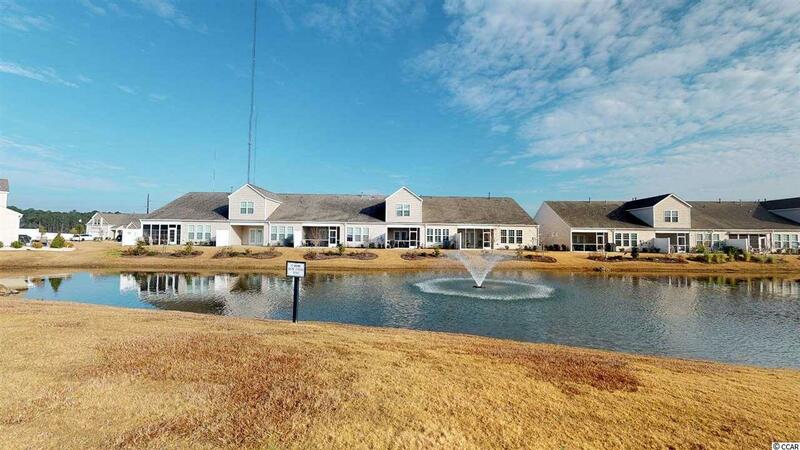 This community is at the top of the list when you want a spacious home with low maintenance.